When the five cities and one borough of Metropolitan Toronto were amalgamated into the City of Toronto in 1997, Toronto became not only the largest city in Canada but the fifth largest in North America. The city’s apartment market is concentrated in the neighbourhoods that make up the old City of Toronto, the Borough of East York and the City of North York. 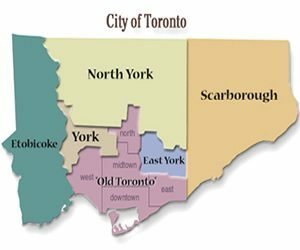 While the cities of Etobicoke, Scarborough and York are below the city’s average apartment-to-person ratio, they too have a good base of over 82,000 units between them. Average rents remain above the provincial average, but the differences of the pre-amalgamated city remain. With sixty-two daily language papers, Toronto has to be seen as a city of neighbourhoods and ethnic diversity. Investments require careful segmentation of the city’s various communities. The amalgamated City of Toronto is in the midst of a building boom and a heated housing market. New condominium towers are rising throughout the downtown and the rest of the city, with housing prices increasing sharply. The city is in the midst of building major new transportation infrastructure in the form of the Spadina subway extension and the Eglinton-Crosstown LRT. These factors should drive further intensification and the construction of additional rental apartment supply and an increase in demand. 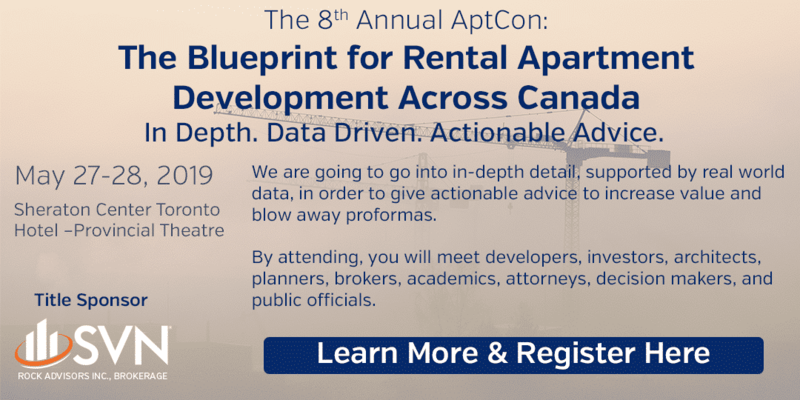 The neighbourhoods comprising the pre-amalgamation City of Toronto and the Borough of East York represent the largest established market of rental apartments in the province of Ontario, second only to the Island of Montreal as the largest market in Canada. In the early 1990s, the old City of Toronto faced problems of job losses and increased poverty as the city’s manufacturing base shut down. However, these losses have been replaced by the service sector and high-tech jobs, and depressed neighbourhoods around the city’s downtown core have revitalised from the influx of workers and new residents. 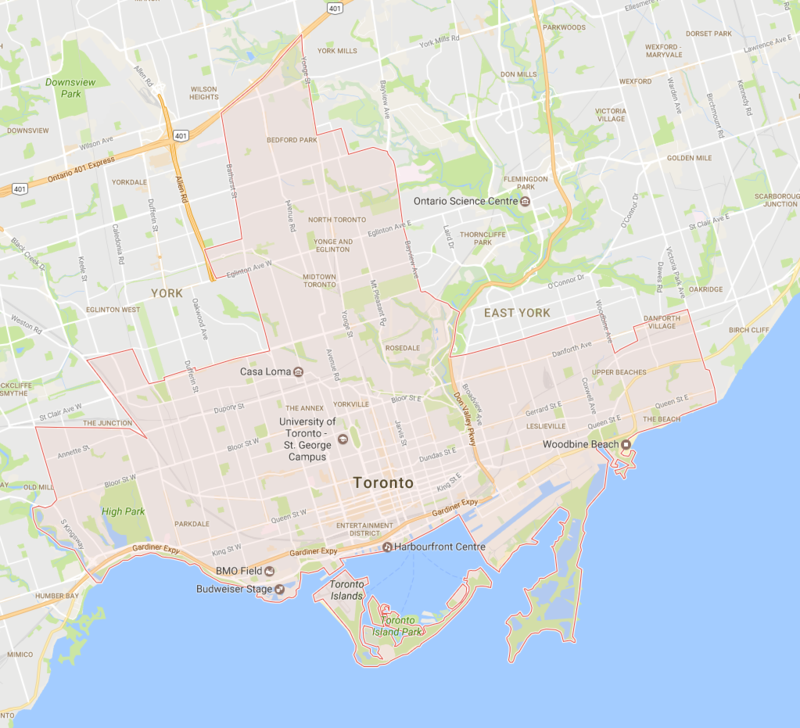 The amalgamated City of Toronto has identified thirteen priority neighbourhoods where poverty and urban decay are a concern, but only one of those (Crescent Town, in southeast East York) is found in the old City of Toronto or the Borough of East York. Once undesirable neighbourhoods like Liberty Village and West Queen West are now fashionable places to live and work. The increase in jobs and development in and around the core has raised housing prices such that renters have found it uneconomical to buy a mortgage. The factors that have drawn people to these neighbourhoods have increased demand for rental units, which will push down vacancy rates and push up rents. New supply may materialise in the Portlands and the east Waterfront, but they’ll likely be snapped up as quickly as they’re put on the market. The best market in Toronto is midtown (Yonge-Eglinton and Yonge-St. Clair), but you’ll pay for it. Deep pockets required throughout the whole district. Given prices, it may be best to reposition current buildings rather than buying new ones. Underlying land values could exceed buildings’ revenues. Excess density is extremely valuable, allowing possibly tearing down stock and building larger in the same footprint. Co-op and condominium status highly sought after.